PONTE VEDRA BEACH, Fla. - A $2 million grant from the Petco Foundation is helping K9s for Warriors expand to Texas. The nonprofit, based in Ponte Vedra Beach, will be building a training center in San Antonio -- the home of Petco Foundation -- to be named Petco Foundation Canine Center in honor of the donor. The grant investment is the largest the foundation has given to K9s for Warriors, which is the "nation's largest service dog provider for disabled veterans struggling with the invisible wounds of war brought on since 9/11." K9s for Warriors rescues dogs from high-kill shelters and trains them to help veterans at risk of suicide because of post-traumatic stress disorder, traumatic brain injury and/or military sexual trauma. The U.S. Department of Veterans Affairs estimates that 20 veterans die by suicide every day, the nonprofit said. K9s for Warriors has rescued dogs from Florida, Georgia, Texas, California, the Carolinas and more. In 2018, K9s for Warriors rescued 257 homeless dogs and graduated 122 veteran-canine teams. The Petco Foundation investment will help nationally with rescuing and training more service dogs. San Antonio city leaders unanimously approved the partnership between K9s for Warriors and Animal Care Services to lease the ACS property for an initial 10 years. The training facility being built on the land will focus on larger, hard-to-rescue dogs and 200 ACS pets are expected to work their way through the training to become PTSD service animals throughout the country. 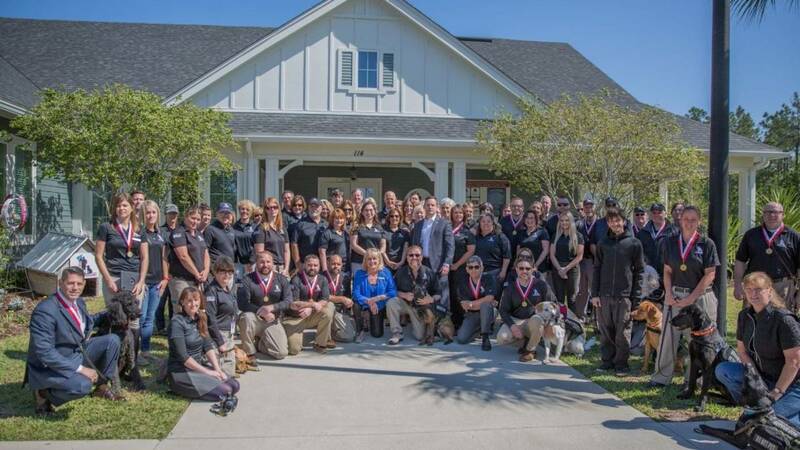 K9s for Warriors currently operates two campuses in Florida, and the expansion is a big boost to the dog rescue aspect of the program. ACS Director Heber Lefgren said his agency is thrilled to have a partner to support its mission. "K9s for Warriors has a big heart for these big dogs," Lefgren said, "and we love that they will be saving a life to save another." For more information about K9s for Warriors, visit www.k9sforwarriors.org. For more on the Petco Foundation, visit www.petcofoundation.org. For more on Animal Care Services, visit www.sanantonio.gov.